tomland is a bidirectional TOML parsing and pretty-printing library. “Bidirectional” here means that the library allows the user to specify in one place how to convert Haskell data types to TOML format and how to parse TOML configurations to custom user types. This approach allows eliminating one layer of bugs, specifically, when you update your data type and only one part of the conversion (for example, parser) but accidentally forget to update the other one (printer). With the bidirectional approach implemented in tomland there’s no chance of you overlooking anything. GADTs and existential wrappers for core types and theorem-proving for more compile-time guarantees. 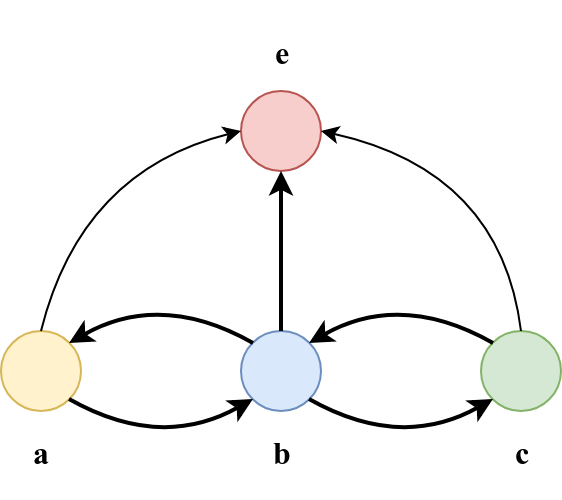 Category theory and Category instance for the custom data type in order to implement tagged partial bidirectional isomorphism. Monadic profunctors approach to compose those isomorphisms. Custom implementation of the prefix tree specific to the structure of nested keys in TOML format. Property-based tests with the hedgehog library that covers typeclass laws and roundtrip properties. Type-safe EDSL for specifying TOML AST. Despite the fact that a lot of fancy features are used, the library is still well-tested. The whole code of the library itself comprises 1600 LOC and 1100 LOC of tests. But without the powerful Haskell type system, the size of such tests could be much bigger. This blog post describes the architecture and details of the implementation of tomland. TOML is great for static configurations. Its specification is very simple but expressive enough to cover most cases. Also, it’s unambiguous and human-readable which makes it much smoother to read and edit the configuration. summoner: Summoner is the tool for scaffolding modern Haskell projects. It can read TOML configuration where you can specify some settings in advance. But for the moment, you need to write this TOML config file manually. Though there are plans to implement a feature that allows you to build your configuration settings interactively via summoner itself and for this we need an ability to convert the Settings data type to TOML configuration. life-sync: this tool allows you to sync your configs across multiple machines. It stores all tracked files in its own TOML configuration file. In order to keep this file up-to-date, life-sync needs to parse from this configuration file and it needs to convert its Haskell types to TOML. I’m not going to compare TOML with JSON/YAML/Dhall, as that is not in the scope of this blog post. Instead, let’s dive into the implementation details of the library. A function-based approach for the description of how to convert Haskell data types to/from TOML instead of a typeclasses-based approach. This approach has a lot of pleasant advantages for decoding libraries: no orphan instances and no ambiguity when there are multiple options for conversion. Here tomland goes along with libraries like hedgehog, sv and waargonaut. Two-phase approach: parsing (from text to intermediate AST) and decoding (from AST to custom user types). And similarly for pretty-printing. Make invalid states unrepresentable: TOML supports arrays of values. But the TOML specification also forbids us from having heterogeneous arrays. This is captured at compile time by tomland. Parser combinators for parsing: tomland uses the modern parsing library megaparsec. Parse this data into a plain old ADT. Type check a simple ADT to a GADT. Let’s assume that we have already implemented a parser for UValue (instead of assuming you can also look at the real code). Now we need to convert UValue to Value. But it’s not that simple: (1) this operation can fail and (2) at compile-time we don’t know the type of the resulted Value. To overcome the second challenge, we need to introduce an existential wrapper around Value. NOTE: you can’t return Value t from the function but you can return AnyValue since the type variable t is hidden inside the AnyValue constructor. Pattern match on the list. If the list is empty then this is a valid array. If the list is not empty then we assume that the type of the first element is the expected type of the whole array. So we just need to check every element of the list against this first element and ensure that all of them have the same type. But this needs to be done carefully in order to convince GHC that we checked everything properly. Now we’re ready to implement a proper simple type checking algorithm! In order to convince GHC that the elements of the array have the same type, we pattern match on Refl. After this pattern matching GHC can see the type equality between the given element and the head of the list. That’s why we can put them in the same list. = Equal      -- ^ Keys are equal. | NoPrefix   -- ^ Keys don't have any common part. | FstIsPref  -- ^ The first key is the prefix of the second one. !Key     -- ^ Rest of the second key. | SndIsPref  -- ^ The second key is the prefix of the first one. !Key     -- ^ Rest of the first key. | Diff       -- ^ Keys have a common prefix. !Key     -- ^ Common prefix. -- | Takes two keys and returns their difference. Zero or more array of tables. That’s all regarding TOML AST! The following sections of this tutorial cover the bidirectional conversion aspect of the library. First, we need to learn how to switch between basic Haskell types and AnyValue in both directions. Converting from Text to AnyValue is pretty simple. Just apply theText constructor of Value and then wrap into AnyValue. However, conversion from AnyValue to Text may fail because there might be a different constructor. It turns out that conversion to AnyValue may also fail. Consider ByteString: in order to convert ByteString to AnyValue you first need to convert it to Text and this operation may fail. Alternatively, you can convert ByteString to the array of integers. Type parameters a and b represent the values between which we’re converting. And e is the type of error. When we want to write a bidirectional mapping between Text and AnyValue we need to provide two functions. If we want to do the same for ByteString and AnyValue we can implement two similar functions But you may notice that the logic for the Text converter is a subset of the logic for the ByteString one. It turns out that BiMap composes very nicely! And we need to write only BiMap between ByteString and Text and compose it with BiMap between Text and AnyValue. This is possible thanks to the following Category instance for BiMap because BiMap forms category. Category allows us to compose objects of the type Type -> Type -> Type, but for that, you need to implement the composition operator and the identity object which is a neutral element for composition. It’s not convenient to use the dot-operator from Control.Category to compose BiMaps because this operator is already specialized to arrow (->) in Prelude. But we still can use the ‘>>>’ and ‘<<<’ operators for composing objects and this is quite nice! tomland implements a lot of BiMap combinators out-of-the-box for you so you should be able to avoid writing your own mini-tomland inside your application if you want to use it on common data structures. As of now, we are converting between primitive types and TOML values. But usually, in Haskell, we work with a lot of custom data types, including both, product and sum types. This section covers how to compose different BiMaps into a single bidirectional converter for a Haskell data type. 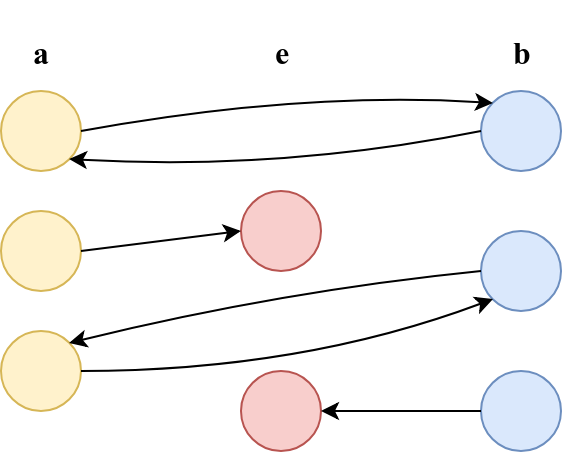 tomland uses the same idea but different connecting pieces and expands this approach to support sum types, not only record types. It looks scary but I will try to explain its meaning. r is usually some Reader monad. It stores an intermediate AST representation inside the context which we’re going to query to fetch pieces of our big custom user type. w is some Writer or State which stores the result of converting a current piece of custom user type to an intermediate AST. a is the type that we’re converting. For example, Integer, Text or Person. c is a fake type variable which is required in order to make this magic work. It should be equal to a but if we make it a directly in the type definition, we won’t be able to write the required instances. Codec has Functor, Applicative, Monad, Alternative and Profunctor instances. The type of codecWrite semantically should be equivalent to a -> w (): we take a value of our type a, change the context, and ignore the result. But if we do so, we’re not able to implement a desirable, convenient interface. Product stores two monadic actions and performs operations over them in parallel. So at one step of >>= it changes both monads. But the changes are parallel and independent. This means that you can describe two monadic actions in a single place, but later you can choose to work with only one of them. Now the idea behind Profunctor becomes much clearer! If we have a bidirectional converter for a value of type a and we have two pure functions to convert from a to b and vice versa we can have a bidirectional converter for b. An attentive reader may notice that the (.=) operator is lmap from Profunctor typeclass. NOTE: TOML data type from tomland implements Semigroup and Monoid instances, so we could use Writer monad instead of State. But it’s more efficient to use State. Note how we managed to decompose the problem of finding a value under a key and converting this value to Haskell type into two separate problems. BiMap takes care of all errors during conversion between types and doesn’t know anything about TOML and keys. And match doesn’t know what value we’re working with (because of parametric polymorphism), all it does is, it just looks up the required key inside the map and handles the two resulting cases: when the key is found and when it is not. For pretty-printing, match inserts the value under the given key. You may notice that most of the time we’re using Applicative instance of Codec, despite the fact that this approach is called monadic profunctors. But, it turns out that applicative functors are more convenient here. Though, of course, you can have a lot of fun with the Monad instance as well. For example, configuration can contain a field with a key name like spec-version and the value of this field determines how this particular configuration should be parsed. ghci> showRes $ decode (arrayOf _Int "a") "a = [2, 'foo']"
ghci> showRes $ decode (arrayOf _Int "b") "a = [2, 3]"
ghci> showRes $ decode (arrayOf _Int "a") "a = [2, 3]"
ghci> showRes $ decode (arrayOf _Int "a") "a = ['foo', 'bar']"
As an additional flavour, tomland has the implementation of EDSL for specifying TOML objects. The implementation is very short. However, we need a couple of extra instances to make the API more convenient to work with. Due to the fact that our Value is a GADT, we can implement type-safe instances for sum types! NOTE: Here we’re using type equality constraint trick in order to provide better type inference. This is very useful for testing when you want to test conversion but you don’t want to deal with parsing. With EDSL you can create a TOML AST which is guaranteed to be correct and safe by the construction. You may notice that tomland was written with the help of a lot of heavy tools. But types don’t substitute tests, so we have A LOT of them. I will shortly describe what we test in tomland to assure you that we care very much about the correctness of this library. tomland is already used in production and in commercial projects so it’s necessary to have reliable tests. Unit tests for parsing. The TOML specification is relatively small, but still, there’re a lot of things to keep an eye on. We have ~600 LOC of unit tests for parsing only. And we test not only that we parse correct TOML (files) successfully, but also that we parse incorrect TOML files unsuccessfully (with good error-reporting). Unit tests for PrefixTree on lookup and insert. Property tests for PrefixTree on insert with lookup. Property tests for PrefixTree for Semigroup laws. Property tests for TOML on Semigroup and Monoid laws. Roundtrip property tests for parsing and printing TOML AST. Roundtrip property tests for decoding and encoding TOML. Roundtrip property tests for every BiMap. Golden unit tests for pretty-printing. toml-parser doesn’t support arrays of tables and because of that it’s hardly possible to specify a list of custom data types in TOML with this library. tomland supports the latest TOML spec while htoml and htoml-megaparsec don’t have support for all types, values and formats. tomland is the only library that has pretty-printing. toml-parser doesn’t have ways to convert a TOML AST to custom Haskell types and htoml* libraries use a typeclasses-based approach via aeson library. I hope that this blog post helps you to better understand some advanced topics and Haskell in general. You can see how very different pieces of Haskell can be combined inside a single library and can help to come up with a better architecture. Probably you can borrow some ideas from tomland for your next library. Or even give tomland a try for static configuration in your application! I want to say special thanks to vrom911, willbasky, jiegillet and ghallak for their massive help with the tomland library! Their contribution is invaluable.